This has nothing to do with music, but it illustrates the strange nature of prejudice. I had an aversion –irrational, absurd – to a record by a band called “The Mom and Dads”. I had never heard of them, never heard their music: the name just pressed the wrong buttons because of bad experiences in a news room 25 years ago. 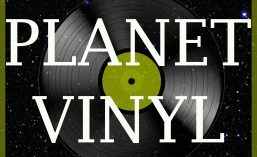 The Planet Vinyl motto is just listen! And The Mom and Dads, off-putting name and all, are worth listening to. They really were one mum/mom, whose name was Doris, and three dads: Quentin, Leslie and Harold. They hailed from Spokane, Washington. (The state, in the far north-west of the United States, not the angst-ridden capital city.) The four all had day jobs and played dance music, in all sorts of genres, out of hours. They did it well and gained a local following. One of their tunes, “The Ranger’s Waltz”, was picked up by a radio station in nearby Minnesota, and because the signal carried to Canada, suddenly The Mom and Dads became small-big, especially in Canada and Australia. And they deserved their success. This was the beginning of the 1970s, and bucking all trends they played tight, old-style dance music, much of which was of their own composition. “The Ranger’s Waltz” is the best known, but I have gone for the B-side of that single. It is a fun boogie tune, in B flat, written by the band member called Quentin. It is called – they are unpretentious folk in Spokane – “Quentin’s B Flat Boogie”. And you know what? It’s great! Have a listen. This entry was posted in 1970s, 45 rpm, 7", Dance and tagged GNP Crescendo (label), Quentin's E Flat Boogie (song), Spokane, The Mom and Dads, Washington state. Bookmark the permalink. ← Five things I didn’t know about Dave Brubeck.